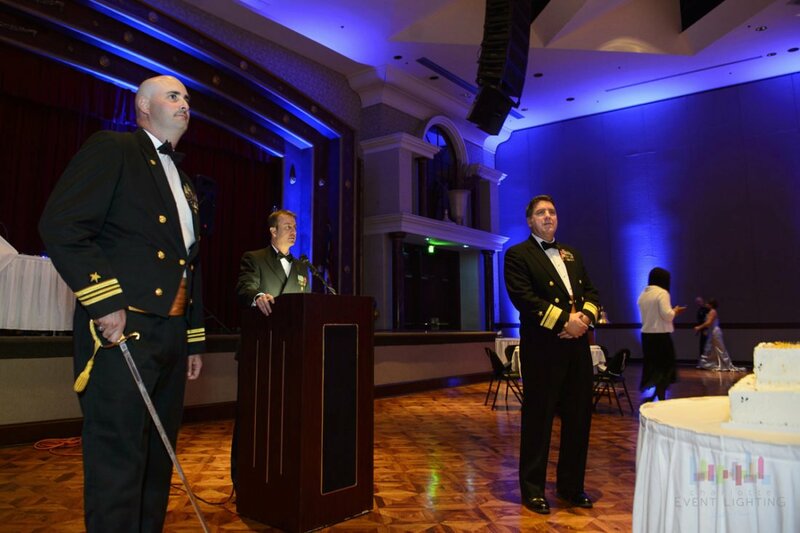 Triad Event Lighting was excited contribute its lighting services and say thank you in some small way to our US Navy servicemen and women for the outstanding job they do for our country. 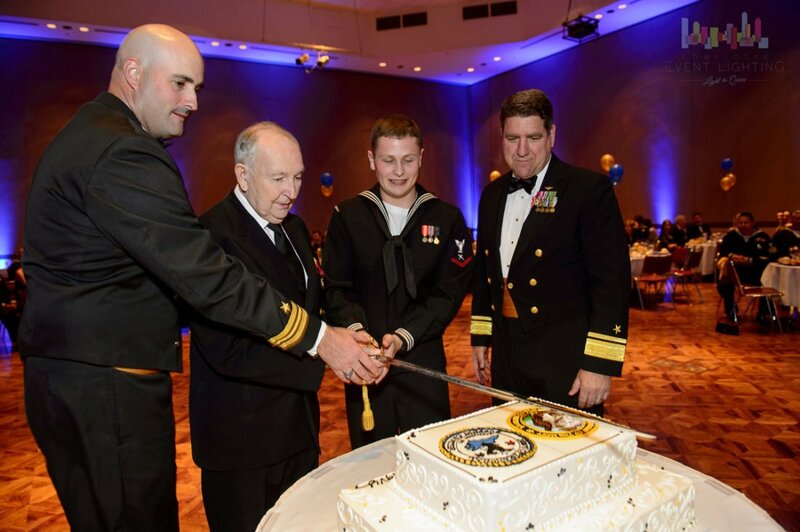 On this evening, we gladly donated our time and services by lighting the ballroom in which the US Navy’s 237th Birthday Ball was held. 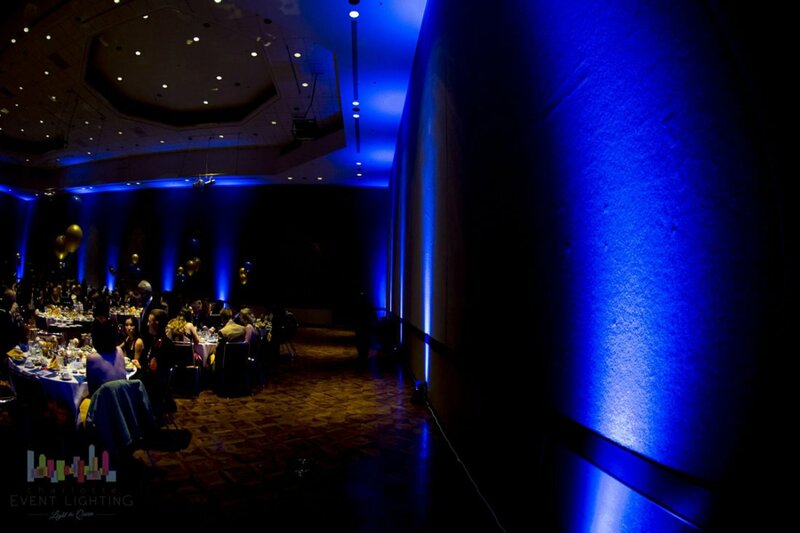 The 28 LED fixtures were programmed to “navy blue” and evenly spaced out every10 feet throughout the venue. It not only gave us the effect we were looking for, it really provided some much needed depth and dimension to the photographs. Lt. Commander E. Rosso was very pleased with the outcome.